I hope to see many of you at our presentation on blogging and podcasting today. But for those of you who cannot make it in person, you can watch it on Livestream at noon today. Here is the blogging presentation. If you download this presentation from SlideShare, you can see the notes. Register for our free session at Social Media Week DC. What’s the one thing you enjoy talking about more than anything else? Some call it a passion, a hobby, a career, a cause, or special interest. Have you thought about sharing that interest online? You can, of course, with a podcast or a blog. Shared passion creates community, untethered by geographic boundaries. In this free, Social Media Week DC session, full-time podcast producer Ray Ortega and blogger yours truly will show you how to translate your enthusiasm into a blog or podcast. The event takes place at noon on Tuesday, February 19 at Thomas Jefferson Public Library (main meeting room), 7415 Arlington Boulevard, Falls Church. For those of you who don’t live in the area, I will make the session available live on Livestream — and if the time isn’t convenient for you, I’ll videotape the session and upload it to YouTube. Here is a little about Ray and me, and our podcasting and blogging backgrounds. Ray Ortega is a professional podcaster, experienced in producing both audio and video podcasts. 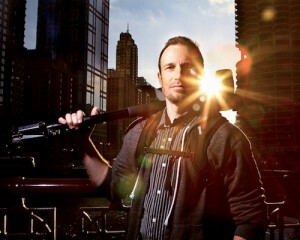 He shares his expertise on The Podcaster’s Studio and Podcast Quick Tips. Ray launched his first podcast in early 2007 (Produce Picker Podcast), a video podcast about how to identify, select and prepare fresh fruits and vegetables. In 2008, Ray and his podcast were featured on celebrity chef Emeril’s television program for the Planet Green channel. In 2008, he began work with the American Society for Microbiology to help with their audio and video podcasting efforts and has spent the past five years producing both audio and video podcasts full-time. 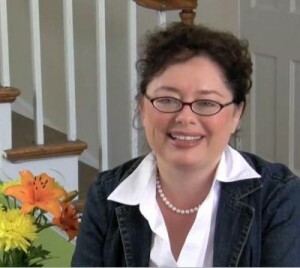 Mary Fletcher Jones has produced dozens of blogs, YouTube Channels, Facebook Pages, podcasts, and branded Twitter profiles for clients and for her own interests. She has 27 LinkedIn recommendations for her social media and marketing work. She has launched blogs, pro bono, for The National Capital Chapter of the PRSA, The DC Ad Club, and the Bahrain Coordinating Committee. Mary has spoken about blogging for Social Media Week DC (view blogging presentation), the DC Government Video Expo, Digital East, TIVA-DC, the UNCF, Capitol Communicator, the DC Podcaster Alliance, the Regatta Hospice Alliance, and George Mason University. The Fletcher Prince Blog: a blog about marketing, public relations, and social media tips, as well as company news (669 posts). 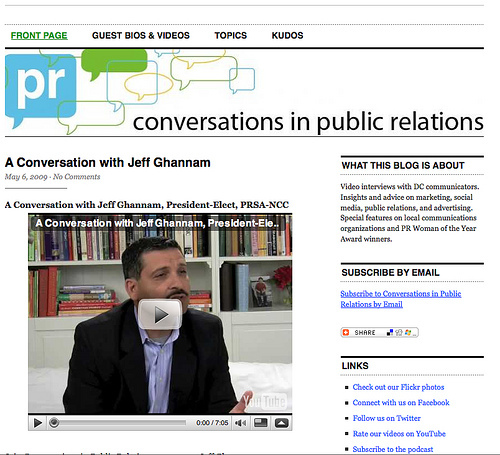 Conversations in Public Relations: a blog featuring more than 100 video interviews with Washington, DC area marketing, advertising, and public relations professionals (159 posts). Cool Yule: A Christmas Blog: celebrating all things Christmas (125 posts). Autumn in Virginia: a blog about Halloween and fall traditions and celebrating ideas (76 posts). You Can’t Make This Stuff Up: a life-blog of personal anecdotes and musings (71 posts). Human Rights in Bahrain: a blog supporting democratic reforms in the Persian Gulf Kingdom of Bahrain (56 posts). When she is not blogging or producing YouTube videos, Mary manages Fletcher Prince, named one of the Washington, DC metropolitan area’s top 25 public relations firms by The Washington Business Journal in 2012. A mother of a teen with autism, she also produces Living Well With Autism, a free online parent support site featuring a website of tips, printable visual schedules and social stories, a Facebook Page, a YouTube video Channel, and podcast. Before launching Fletcher Prince in 2007, Mary worked in marketing and public relations positions for the American Red Cross, Greater Reston Arts Center and Wolf Trap. She is a member of Washington Women in Public Relations, the Social Media Club, and the DC Podcaster Alliance. Did you resolve to blog in 2013? Did you? Are you thinking about it? Are you, huh? Okay. I’m going to share my blogging presentation with you, then. The one I usually reserve for college students. Now, go forth and blog! And if you need more help, then hire me to help you. ‘Cause that’s what I do! How many blog views a day should you be getting? The proud. The few. The obscure. 100 views per day is a respectable figure for daily views. Plenty of bloggers get more than that, such as bloggers who cover certain popular subjects. The most views I have ever achieved in a single day for one blog was 2,463. Typically, I average about 100/day for Fletcher Prince. And it took me years to achieve this modest level! The interesting thing is that the blog post of the day is not always the one driving views. In fact, out of 620 posts on the Fletcher Prince blog, about 10-15 of archived posts snag the most daily views. I’ve got eight blogs besides this one. And yes, people visit my Halloween blog and my Christmas blog every day. Even in summer. I learn something from all of my blogs. It’s worthwhile to blog about your various interests or hobbies. It’s good writing practice and it can spur ideas for your business-oriented blog. Pick up on the news of the day and work it into your post. Add more tags and categorize your posts. Make it easy for people to follow and subscribe to your blog. Post links on Twitter, Facebook, LinkedIn, and Pinterest. If your content is good, you should see those numbers climb over time. Keep an eye on your stats, and set goals for your blog. This morning, I spoke with George Mason University students in Serge Samoilenko’s class. The topic was blogging. Since many of them will be working communications, I compiled a list of blogs that I thought would help them learn more about PR, understand what it is like to work in PR, and maybe even make useful contacts. One thing I emphasize for students (and professionals, as well) is to take full advantage of the comments feature to add to the discussion and cultivate relationships (and perhaps drive traffic to their own blogs). 1. PRSay is the blog of the Public Relations Society of America, which of course is the foremost professional organization for PR professionals in the states. It’s a high quality blog that delivers just what you would expect it to. 2. Beyond PR is PR Newswire’s blog and it is outstanding. You can tell the people who write for this blog love to write. But they are also on the cutting edge of any new PR development. The practical public relations tips are invaluable. One of my favorite blogs to read. 3. Fresh Ideas is the blog for BurrellesLuce. I especially like the blog posts by local Debbie Friez. This is another blog with practical public relations tips, as well as takeaways from area public relations professional development events . I advised the students to get to know Debbie’s work through her posts on this blog and to seek her out at networking events, as she is highly connected and influential in DC’s PR community. 4. The Publicity Hound delivers good quality, practical public relations advice you can use in a succinct and uncomplicated way. Joan Stewart‘s writing is fun to read, and I often find tips on public relations topics not covered widely elsewhere. In short, it’s interesting. 5. Levick Strategic Communications has expanded and rebranded their Insights blog from their former Bulletproof Blog, which was excellent. I am just getting used to the new format, but is there ever a lot of good content here. Levick Strategic Communications, as you may know, is one of the foremost crisis public relations firms. Their blog is an education in crisis communications, and never fails to impress me. 6. Social Media Club DC had some starts and stops but it seems like their blog and programming are really on a roll now. None of the students in this class had been to any SMC-DC events, so I strongly recommended that they subscribe and start connecting with this active group. 7. The Fletcher Prince Blog. Like I wasn’t going to recommend my own blog! 🙂 620 blog posts, people. I’m just saying…. 8. The blog for PRofessional Solutions, LLC (client) disseminates the wisdom of Kate Perrin and Melanie Jordan, who manage the DC area’s only public relations staffing firm. They deal everyday with companies and job seekers, and they know their stuff. Both women are excellent writers, and yes, I would say that even if they were not my clients! 🙂 These are also influential contacts to get to know and emulate. I know I often think: “What would Kate or Melanie do/say now?” That’s how savvy they are. 9. Ami Neiberger-Miller writes The PR Toolkit for Nonprofits. Ami started her professional career as a journalist and you can tell: she really is a wonderful and intelligent writer. She has such a broad wealth of public relations experience and knowledge to draw on, and she is a committed blogger. Of course, nonprofit PR is huge in DC. Ami is another DC PR pro people should really get to know. 10. Amanda Miller Littlejohn is another DC area independent who also got her start as a journalist. Amanda’s blog posts on Mopwater + Media Notes are thought-provoking and often inspiring, which is appropriate since she likes to help people build their personal brands. This is an especially useful blog for students and young professionals to start reading on a regular basis, because Amanda also interviews public relations professionals about their jobs, and shares job openings. 11. Another local independent, Denise Graveline, has two excellent PR blogs. I directed them to The Eloquent Woman for its unique focus on public speaking. What communicator would not benefit from public speaking tips and anecdotes? 12. And last but not least, I recommend the blog, Mr. Media Training. I have never met the author, Brad Phillips, but I think his PR expertise makes his blog subscription-worthy. One thing that impresses me about this prolific blogger is how he hops right on a news story or breaking development, so I enjoy those current events insights, as well. I think it would be an excellent addition to any student’s (0r professional’s) daily reading to do list. Can we talk about blogs for a moment? Okay, first of all: some perspective. A blog is not as critical to your business as, say, a logo, or a website. You can run a business or have a nonprofit without having a blog. Just like you can manage a business and not use advertising, or signage. But blogs help. Blogs are terrific for your SEO, because all that text is searchable and all those pages link back to you. Posting timely, helpful and interesting blog posts that people read helps you build an audience of potential clients or supporters. They keep coming back because you’re offering value to them. Another important benefit of creating a blog for your company is that, perhaps more than any other tactic, blogs establish you as a subject matter expert. So, as you demonstrate again and again that you know your stuff, blogs can help you achieve that incredible marketing attribute of trust among your clients, potential clients, supporters, and even the media. An additional benefit of blogs is that they are share-able. It’s very easy to share blog content with a friend, through email, Twitter, Facebook, or bookmarking sites. So your readers help expand your audience for you. Do you have an audience for your company blog? There are few conditions that need to be in place for blogs to work well as a marketing tactic. The most important reason to start a blog is because you believe the people you really want to reach will find value in reading online articles about topics related to your company and industry. A minimum requirement is they have to enjoy reading about that topic. For blogs to make sense for your business or organization, your existing and potential clients/supporters must have the time and ability to access the Internet. This is not quite a universal tendency. Your customers or supporters just may not happen to be online article-readers. Still, for most companies and nonprofits, there are enough CEOs, journalists, and influencers who read online articles that will make it worth your while to create a branded blog for your company. Of course, at Fletcher Prince, we are wildly enthusiastic about blogs and what they can accomplish. I’ve been blogging since 2006 and I have several blogs myself. This is the 605th blog post I’ve written for Fletcher Prince. I’ve created blogs for clients and I’ve taught people how blog and manage blogs. But if you think your target audiences won’t read and value your blog, then consider other marketing approaches, such as advertising, or video. Let’s say that you believe there is an audience for your blog, and you are potentially interested in creating a blog, or making over your existing blog. What else do you need to take into consideration? Well, blogs work when the writing works. People who are passionate about their topic make good writers. So if you have someone in your organization who loves to write, may already be blogging, and is passionate about your company, you have a tremendous resource on your hands. However, that resource may require some tending to reach its full potential. Plenty of bloggers start well, but stop blogging on a regular basis. An organized blogger is just as important as a creative one. How can you sustain the blog effort over time? You approach it like any other long-term marketing strategy. It would be helpful, for example, to start with a plan that outlines your goals, topics, audiences, timelines, team, and promotional tactics. You may find that an editorial calendar organizes your efforts. What you will discover is that blogging is a commitment of time, talent, and resources. It has to pay off for it to be worth it, and those benefits may be long-term, rather than immediate. So some faith and patience is also required. At Fletcher Prince, we can’t create the passion in those writers for you. People either love to write or they don’t. But we can coach them, help them get organized, teach them how to write for online audiences, help develop a blog plan and an editorial calendar, design and launch the blog, and show you how to track and measure results. Talk to us if you’d like us to help you launch a blog, makeover your existing blog, or coach your team to become expert bloggers. Do you blog for work? Do you find it difficult to blog on a regular basis? Do you ever run out of ideas? Do you wish you had more readers for your blog? In this Social Media Week DC presentation, Mary Fletcher Jones of Fletcher Prince http://www.FletcherPrince.com will talk about the marketing advantages of blogging for your business, agency, or nonprofit organization, and identify some of the common challenges associated with blogging. Mary will suggest practical planning and writing tips, engagement strategies, and topic ideas. Please excuse the production quality of this video. I used footage from our Livestream broadcast which required a web cam, so the image quality is not the best. I did insert the slides, though! So, hopefully you will find it useful, if you were unable to watch last week. The content level in this presentation is appropriate for people who are new to blogging, beginning bloggers, and intermediate-level bloggers. 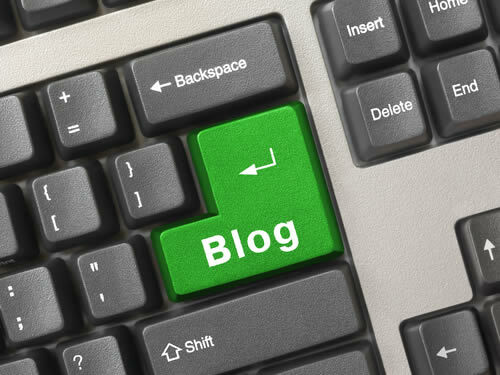 Do you blog for your company, agency, or organization? Do you find it difficult to blog on a regular basis? Do you ever run out of ideas? Do you wish you had more readers for your blog? In this interactive presentation, I will talk about the marketing advantages of blogging for your business, agency, or nonprofit organization, and identify some of the common challenges associated with blogging. Mary will suggest practical planning and writing tips, engagement strategies, and topic ideas. A question and answer session will follow the presentation. Mary’s blogs include The Fletcher Prince Blog, Conversations in Public Relations, Autumn in Virginia, Cool Yule: A Christmas Blog, and You Can’t Make This Stuff Up. She created the blogs for the National Capital Chapter of the Public Relations Society of America and the DC Ad Club. Mary enjoys developing blogs for clients and teaching people how to use blogging as a marketing and engagement tool. The library is located between two complexes of garden apartments just adjacent to Loehmann’s Plaza (shopping center with Giant and other stores), on the same side of Rt. 50. Take Exit 50B (old Exit 8E), Rte. 50 East (Arlington Boulevard). Go through the first light (Jaguar Trail). Go 0.4 miles to library on the right, just before the traffic light at Allen Street. The library is a new, modern-looking brick building surrounded by garden apartment buildings (there is a service road in front that runs parallel to Route 50/Arlington Boulevard). Go 1.3 miles west on Rte. 50 to the third traffic light (Allen Street). Turn left on Allen Street, then immediately right onto service road that runs parallel to Route 50. The library is a new, modern looking building surrounded by garden apartments; the second brick building on the left. Metrobus Route 1B and 1C travels between the Dunn Loring-Merrifeild station Metro Station and Thomas Jefferson Community Library. For more information, visit the Washington Metropolitan Area Transit Authority Virginia Bus Schedules. Fairfax Connector Route 401 travels between the Dunn Loring Metro Station and Thomas Jefferson Community Library. For more information, visit the Fairfax Connector Home Page. Does your company or nonprofit have a blog? Learn tips for marketing with blogs in this short video. Recorded at RHED Pixel October 2011. Special thanks to Richard Harrington and the video production crew at RHED Pixel.